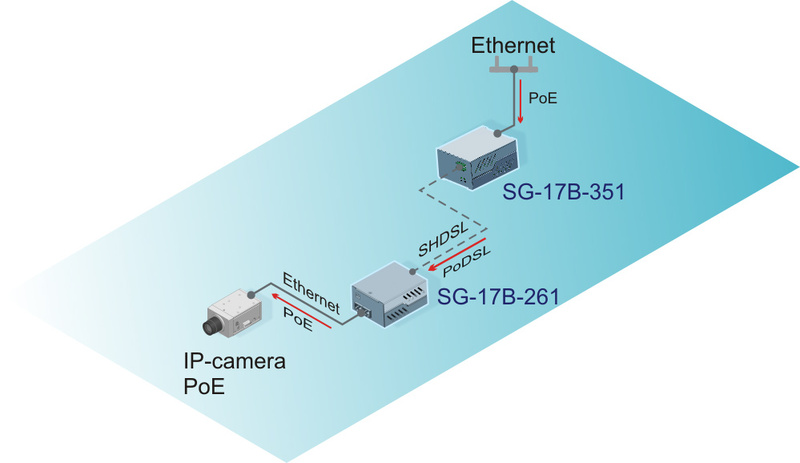 Camera with PoE interface is connected to the modem SG-17B-261. 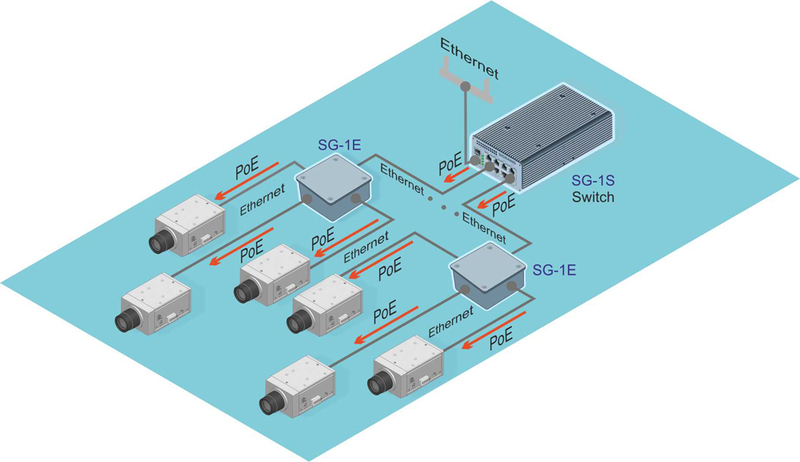 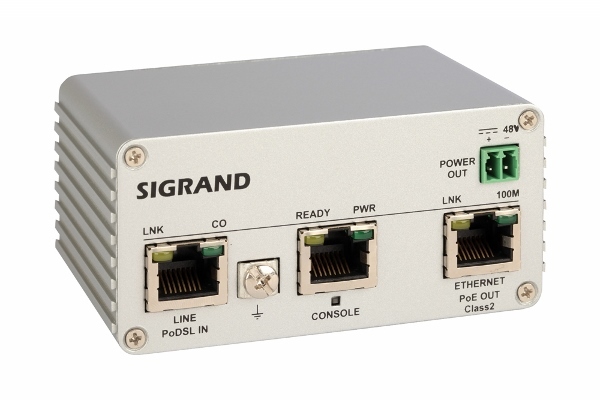 And modem is connected to the another SG-17B-351 modem via SHDSL interface.The distance between modems can reaches several kilometres and transmission rate 15 296 kbit /s in one pair. 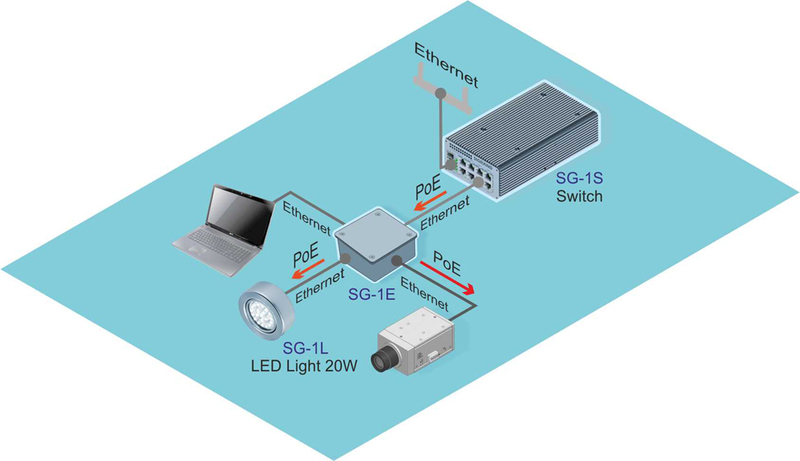 The camera is powered from PoE SG-17B-261 modem interface, and modem get the power from line via PoDSL technology from SG-17B-351 modem. 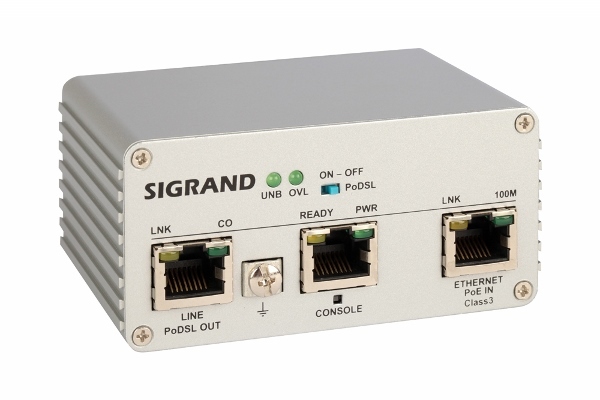 The SG-17B-351 modem powered via PoE interface.